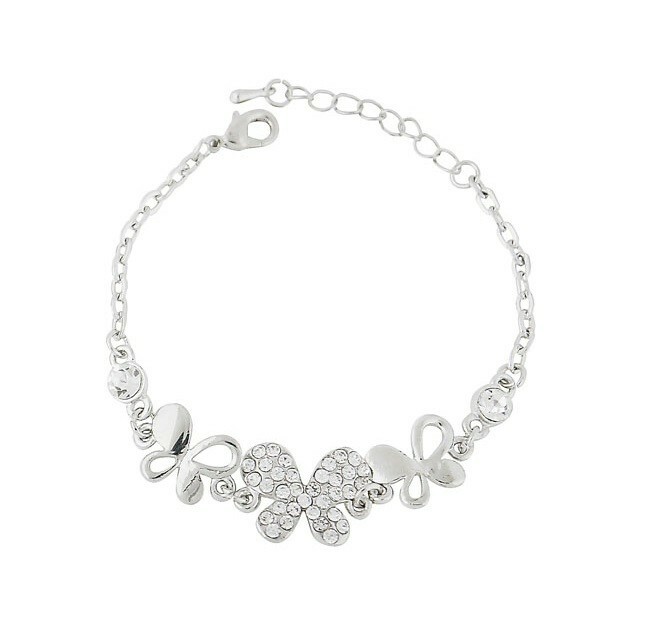 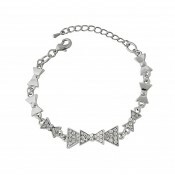 A feminine injection of sparkle with this silver tone Crystal Butterfly bracelet. 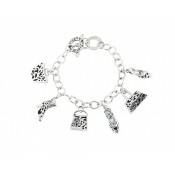 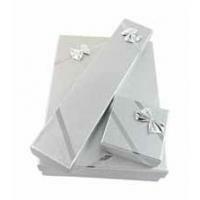 Featuring three polished butterfly charms, the middle of which sits encrusted with clear crystals. 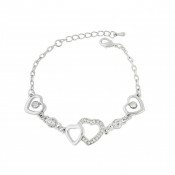 This delicate piece is sure to appeal to any age group and will sit stunningly on your wrist.